Dascomb, A. (2019). Language Education Policy in Developing Nations from Colonization to Postcolonialism. International Journal of Society, Culture & Language, 7(1), 16-26. Amanda Dascomb. "Language Education Policy in Developing Nations from Colonization to Postcolonialism". 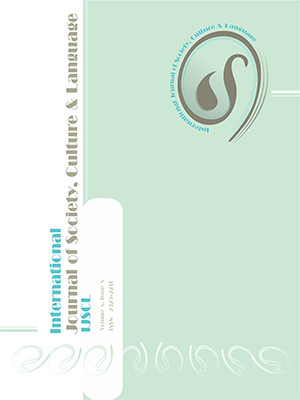 International Journal of Society, Culture & Language, 7, 1, 2019, 16-26. Dascomb, A. (2019). 'Language Education Policy in Developing Nations from Colonization to Postcolonialism', International Journal of Society, Culture & Language, 7(1), pp. 16-26. Dascomb, A. Language Education Policy in Developing Nations from Colonization to Postcolonialism. International Journal of Society, Culture & Language, 2019; 7(1): 16-26. The purpose of this article is to evaluate the role that colonization played in language education policy and illustrate the need for first language instruction. Using postcolonial scholar Franz Fanon, the reasons for and consequences of using a second language medium of instruction in postcolonial nations are explored. Colonial languages were used to reinforce the imperialistic goals of colonizing nations and this language policy was rarely reversed after decolonization. Many nations have instated pilot mother tongue programs into their school systems, but they rarely move past this stage. This article deconstructs how colonization and decolonization affect the language of instruction and language education policy in developing nations (with a focus on francophone nations). Haiti is used as an example to illustrate the difficulties and complexity that decolonization brings to education policy. It is important that as we start to face new global forces that hinder first language instruction (globalization, westernization) we do not forget the historical oppressions that have a current impact on policy.